The neighbour kids down the road. I must confess, they're my favourite neighbours. I'm sorely tempted to take one home with me. They have so many, surely they wouldn't miss just one. I suppose it's a good thing I have nowhere to hide, just one. I think an animal this size will be missed just a little. lol Very nice shot! Happy WW! Oh, perhaps "just borrowing" for an afternoon might work. Very dear picture. "I want to hide out at your place, please . . ."
OH! I love that photo! Looks like you captured so much personality! A real beauty, I can see why you'd want one. aren't they gorgeous?! yeah, wouldn't fit well in the chicken coop. I love those gorgeous draft horses. What a beautiful photo. 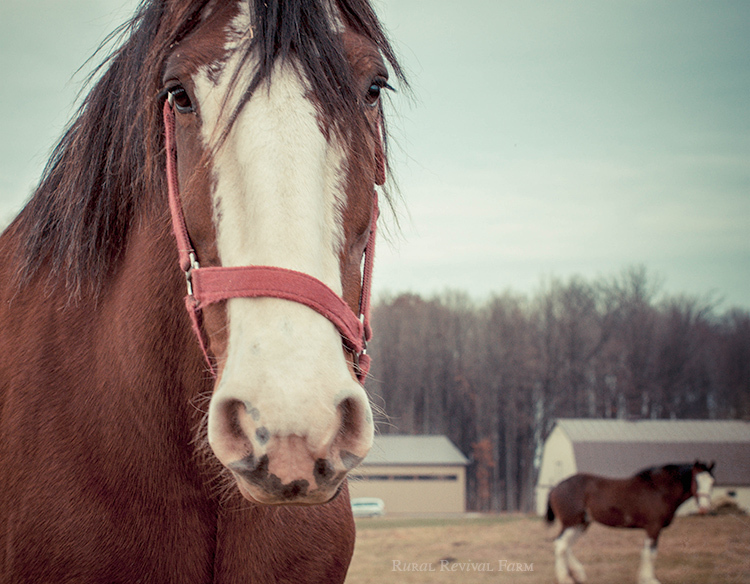 I love, love, love horses, and you have captured this sweet one beautifully. Blessings to you. Lovely photo ! Best neighbors to have as far as I am concerned lol !Thanks for sharing ! Have a good day ! They might notice one in your yard. I love draft horses, they are such gentle giants. I'm just glad I don't have to feed/shoe one.